A couple of weekends ago we got a little taste of winter. The leaves really haven’t begun to fall yet, and many are just now changing color. With only 4 full months with no snow, it feels like the shortest summer ever. I don’t know about you, but for me, summer was just gaining some momentum. And now it feels officially over. 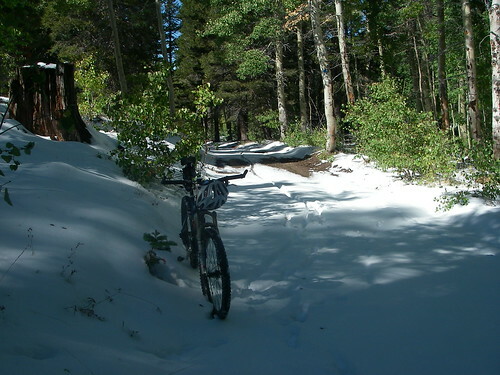 The time to ride all the trails in the high country is running short. 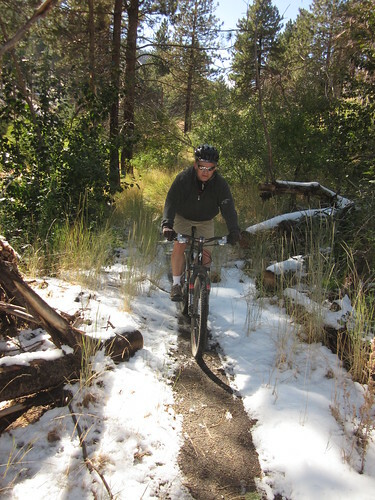 We saw some snow up on the Ash Canyon trails, and it even hung out for a few days down in the shadows of the Creek Trail. 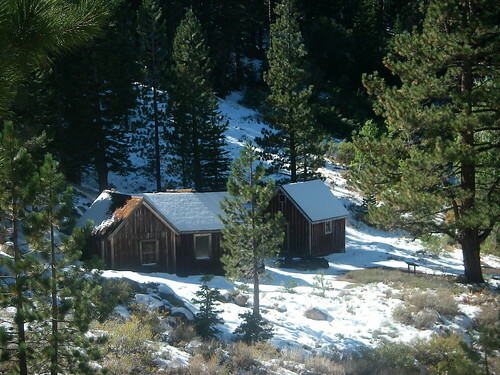 Carson City’s Ron Peck rode higher up into the mountains and found quite a bit of snow up at Red House and Hobart Reservoir. He says he ended up pushing his bike for about a mile, because it was too deep to ride. 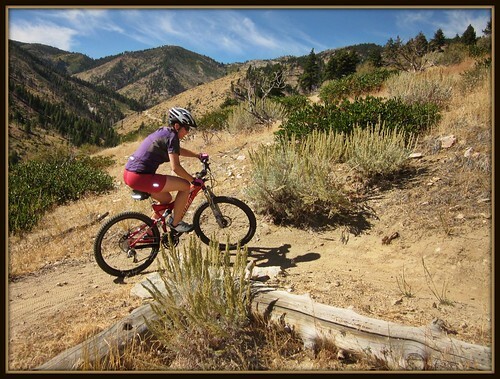 On the plus side though, Fall weather means packed trails and cooler temperatures down here in Carson City. We’ve had some great riding conditions this last week. The trails are faster rolling now that the sand has firmed up. Switchbacks are easier to clean. Traction is everywhere. Riding temperatures have been in the 60s and 70s, making it more comfortable during strenuous climbs and other hard efforts. Let’s hope we get a nice long autumn this year before the freezing weather shows up! Kristy Moser cleaning switchbacks – Great Fall riding! It’s been a long time since I’ve posted photos of the week. Do you have any photos of your summer bicycle adventures? Send me your photos and I’ll share them here on the blog. You can either add them to the Bike Carson Flickr Pool (Instructions for adding your photos to the pool can be found HERE), or you can email them to me (moserjd@gmail.com). Be sure to include your name, who the photographer was, and a description of the photo.